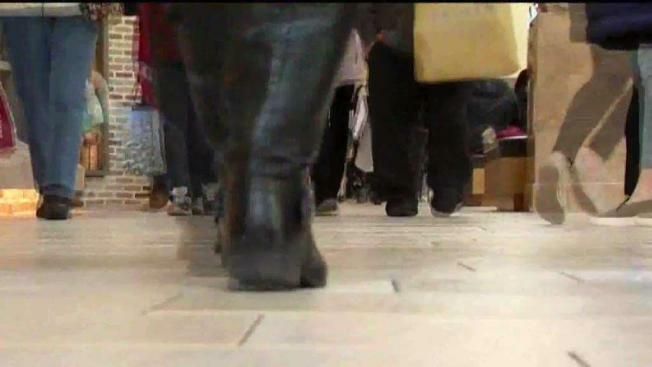 Shoppers braved the cold Friday to hit malls around the region, standing in lines and packing parking lots in an attempt to find those perfect Black Friday deals. On what is generally considered the kickoff to the holiday shopping season, Black Friday shoppers started hitting the South Shore Plaza in Braintree, Massachusetts at midnight, when stores started opening. Tonzi said police would be helping direct traffic to cut down on tie-ups, and firefighters were at the mall in case of any medical emergencies. Tonzi urged shoppers to remain patient, giving them a heads-up navigating the parking lots and garages will take longer than normal. GPS and Black Friday at the Wrentham Outlets are not a great mix for holiday shoppers looking to avoid traffic congestion. “Wear comfortable shoes,” Tonzi observed, saying shoppers may need to make longer walks than normal from the parking areas to the mall. As more and more retailers opened up throughout the morning, the crowds kept coming. Among them were the “Bellas Black Friday Professionals,” relatives who came in matching gear. The matriarch of the family started this tradition about 35 years ago—before Black Friday was the behemoth it is today. While Bella’s daughters said their mom can’t do the crazy hours any more, her loved ones are carrying on the legacy. Danielle Waugh reports from the Burlington Mall, where shoppers are off and running on Black Friday. It's also tradition for Eric Fahey, who was shopping with his wife and two kids. “We do a lot online too, but the real deal is coming out here, being among everyone, seeing Santa," Fahey said. 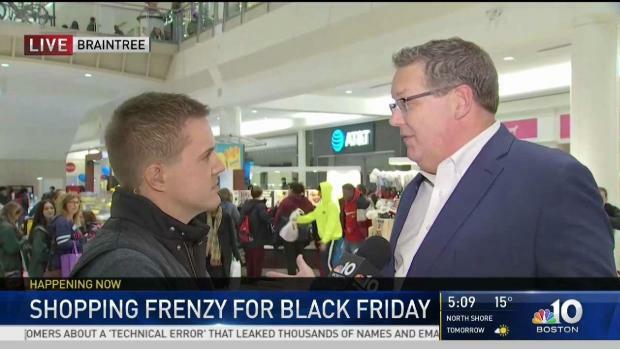 The Burlington Mall was buzzing Black Friday, with thousands of shoppers like Fahey who were seeking deep discounts at the start of the holiday shopping season. 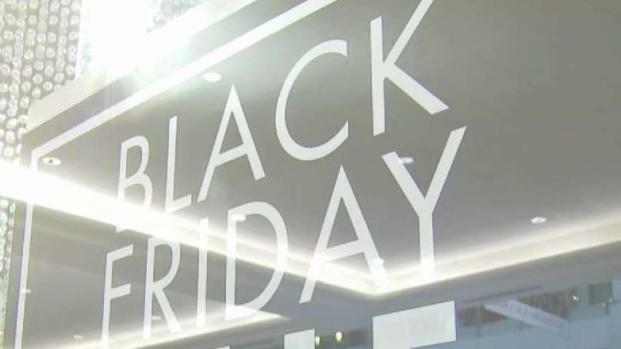 While online shopping can be convenient, Black Friday bargain hunters say there is no experience quite like going to the mall on the busiest shopping day of the year. Burlington Mall spokesperson Sheila Hennessy said the shopping center opened Friday around midnight and stayed open until 9 p.m.
“The mall offers much more than shopping — it’s an experience,” said Hennessy. A large sign inside the mall tells consumers it’s more environmentally friendly to shop in store. Delivering items purchased online creates emissions, and more packaging materials. Jack Thurston reports from the South Shore Plaza in Braintree, where shoppers have been out early and often -- just after midnight in some cases. Hennessy said traditional retailers are incorporating online sales and in-person pick ups to stay competitive. “We are blending the internet and traditional shopping together,” she said. “And let’s face it, you can’t see a diamond sparkle or feel that warm cozy sweater” behind a computer screen shopping online. The National Retail Federation expects 164-million Americans to shop over the holiday weekend, with more than 70-percent of them shopping on Black Friday. A new NRF survey found, on average, consumers expect to spend just over $1,000 on gifts and other holiday needs throughout the season — an increase of more than 4-percent over last year. So why not just shop online or through a smartphone? 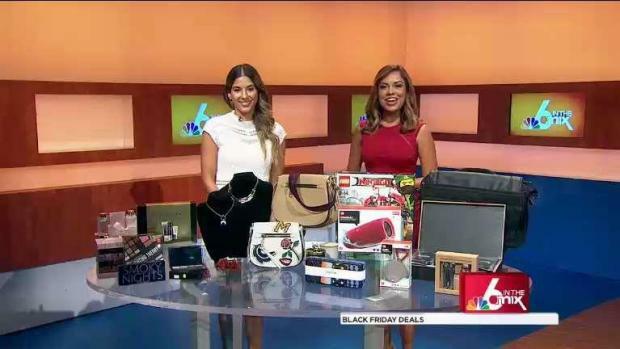 Black Friday frenzy is in overdrive as crowds of shopper take to stores across the nation to indulge in advertised deals. At the Wrentham Village Premium Outlets in Wrentham, Massachusetts, using GPS wasn't helpful for shoppers looking to avoid the Black Friday traffic congestion. Wrentham police shut down a number of roads around the mall to local traffic only. Officers are making sure shoppers don't use them as shortcuts and urging people to ignore their GPS, with only one way in and one way out of the outlets this weekend - exit 15 on Interstate 495. 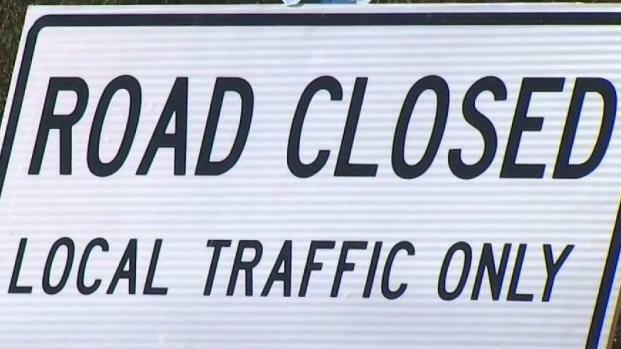 The steret closures, primarily in the neighborhoods off Route 1A, are nothing new but there are more of them this year. The strategy does seem to be helping with neighbors seeing a noticeable reduction in congestion. While Black Friday is just one day, the traffic restrictions will be in place all weekend long.